As you'll know if you've read my blog for a while, I'm a bit of a fake tan obsessive. I've been faithful to my St Tropez Express Mousse for a good year now, and suddenly tons of new fake tans came out and I was dying to give them a go. I have a Bondi Sands lotion review coming up soon, but first I tried out the Madame La La Tan*. This isn't a brand I'd ever heard of before, but it's absolutely packed with hydrating ingredients like coco water, aloe, green tea and Vitamin E, plus it promises an LA Glow for 10 days, so I was ken to try it out. Application was pretty easy. As a self confessed tan-a-holic, I'm fairly clued up on what to do pre tanning, and how to apply tan, so it wasn't difficult at all. It comes in a mousse formulation, so I applied it with a mitt all over my body. It dried quickly and I found it didn't rub off on my pyjamas as much as other tans do. In terms of the colour payoff, you can see my own results here. I'm quite pale, so any tans I try really have to perform with the colour they give, as I like a nice deep tan. I tend to aim for 4 shades darker than my natural skin tone. 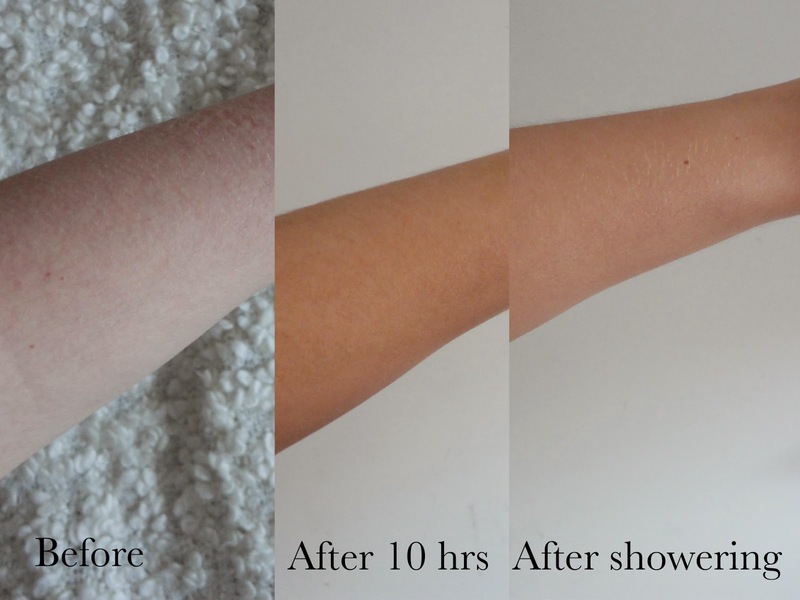 All these results pictures are all taken in natural light with no editing, so you can see the full effect of the tan. I have to say, I'm pretty impressed with the colour it gives. I definitely looked nice and brown, and it didn't look unnatural or orange. Definitely impressed so far! The one downfall I found with this tan is the lasting power. Now, I really put a tan through its paces, as I go to the gym and obviously sweat isn't great for prolonging a faux-glow, however, I do continue to moisturise and don't scrub at my skin, so really the only thing testing the lasting power is sweating. I found this tan only really lasted around 3 days before I was going back to my normal skin tone. Obviously this isn't really the best, as it does promise 10 days, however, I imagine if you weren't going to the gym so often, it would last longer. I do find the lasting power definitely fails for a lot of tans for me, as even my St Tropez fades after 5/6 days with regular gym visits. Overall though, I really like this tan. It feels very lightweight on the skin upon application, gives a gorgeous colour, and does have that added benefit of using non-drying ingredients, which is something quite unique about this. I will continue to use this, and it's definitely a good one if you've got an occasion where you need a foolproof tan! What are your favourite fake tans? Let me know below!